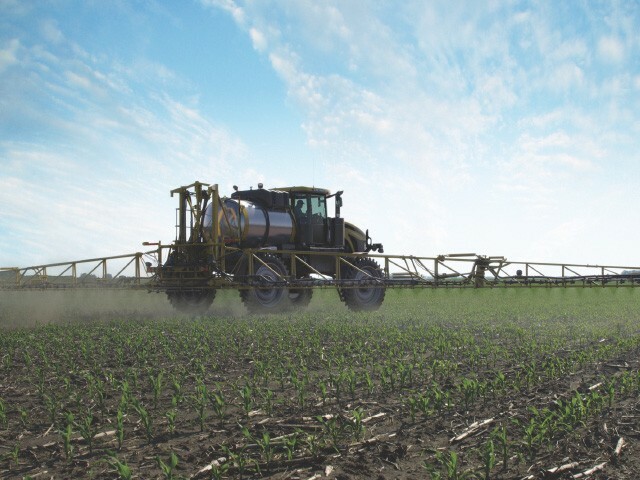 Find out more about RoGator and TerraGator application equipment. Check this area often to access the RoGator and TerraGator product configurators, request a demo or find out more about AGCO Finance. Our media library will allow you to browse through our gallery of videos, download brochures or get access to owner manuals for the latest information on RoGator and TerraGator products. Learn more about RoGator, TerraGator and the AGCO family. Read up on the latest announcements, and find out where you can see our products. You can also join our mailing list or contact us if you have a question. We work closely with ag retailers and professional producers to develop agricultural innovations that help them run a more profitable operation. Founded in 1990, AGCO offers a full product line of tractors, combines, hay tools, sprayers, forage, planting, seeding and tillage equipment, implements, as well as related replacement parts and services. The Intivity Center and AGCO facilities in Jackson, Minnesota are where premium tractors like Massey Ferguson® and Challenger® wheel tractors, Challenger® track tractors and application equipment like RoGator® and TerraGator® roll off the assembly line. Get exciting news, press releases and announcements from the Application Equipment team here. The Application Equipment team is always on the road and excited to meet our producers. Find out when we will be in your area next an event. Stay current with information about our application equipment by signing up for the mailing list. Receive updates on RoGator and TerraGator products, events and more. Need answers? AGCO Answers is here for you. Find out how to contact us by phone or email and we will gladly assist you. Want to stay current with information about RoGator and TerraGator application equipment? Just fill out a short form to receive timely updates on products, events and more. At AGCO, customer service isn’t just a department. It’s a commitment. Contact us with your questions. We’ll do our best to answer them promptly or put you in touch with someone who can. Copyright © 2018 AGCO. RoGator and TerraGator are worldwide brands of AGCO Corporation. Cat, Caterpillar, ACERT and Challenger are registered trademarks of Caterpillar Inc. and used under license by AGCO.